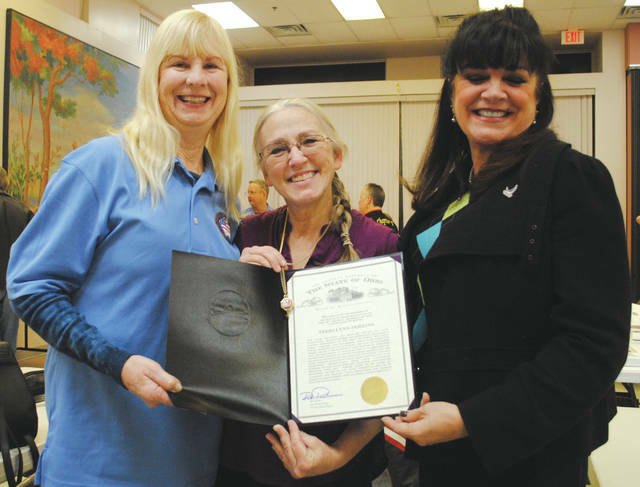 Rebecca Perales, wife of State Representative Rick Perales, along with Fairborn Citizen JoAnn Collins, who is spearheading the Humble and Kind awards, presented Perkins with the honor. 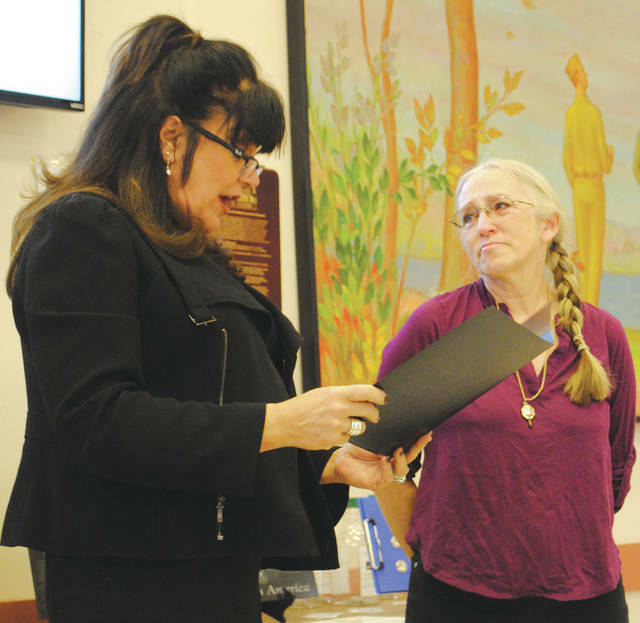 Whitney Vickers | Greene County News Fairborn Citizen Terri Lynn Perkins received the “Humble and Kind” award in January for her support to the local community. Perkins owns Terri Lynn Art Studio and Gallery, located at 415 W Main St. and is involved in the Honor Flight program. Fairborn Citizen Terri Lynn Perkins received the “Humble and Kind” award in January for her support to the local community. 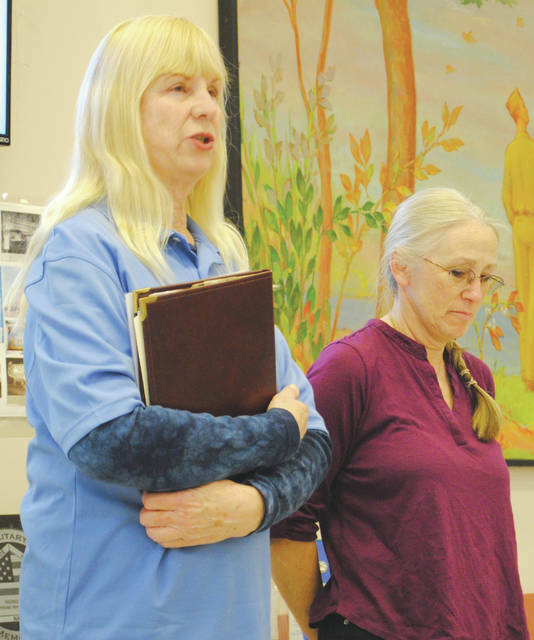 Perkins owns Terri Lynn Art Studio and Gallery, located at 415 W Main St. and is involved in the Honor Flight program. https://www.fairborndailyherald.com/wp-content/uploads/sites/50/2018/03/web1_humbleaward1-1.jpgRebecca Perales, wife of State Representative Rick Perales, along with Fairborn Citizen JoAnn Collins, who is spearheading the Humble and Kind awards, presented Perkins with the honor. https://www.fairborndailyherald.com/wp-content/uploads/sites/50/2018/03/web1_humbleaward2-1.jpgWhitney Vickers | Greene County News Fairborn Citizen Terri Lynn Perkins received the “Humble and Kind” award in January for her support to the local community. Perkins owns Terri Lynn Art Studio and Gallery, located at 415 W Main St. and is involved in the Honor Flight program. https://www.fairborndailyherald.com/wp-content/uploads/sites/50/2018/03/web1_humbleaward3-1.jpgRebecca Perales, wife of State Representative Rick Perales, along with Fairborn Citizen JoAnn Collins, who is spearheading the Humble and Kind awards, presented Perkins with the honor. https://www.fairborndailyherald.com/wp-content/uploads/sites/50/2018/03/web1_humbleaward4-1.jpgWhitney Vickers | Greene County News Fairborn Citizen Terri Lynn Perkins received the “Humble and Kind” award in January for her support to the local community. 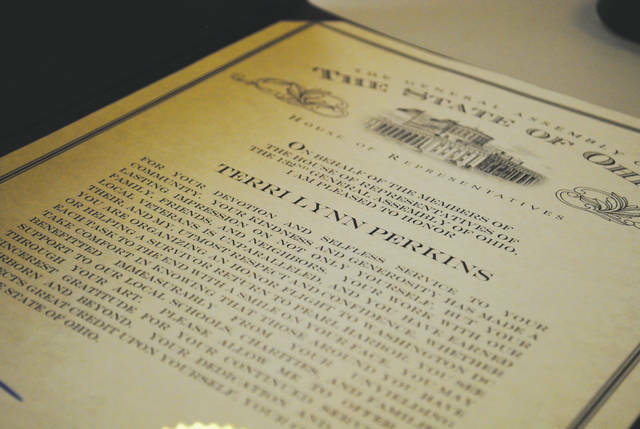 Perkins owns Terri Lynn Art Studio and Gallery, located at 415 W Main St. and is involved in the Honor Flight program.